100% 2018 READY – Mobile & Tablet friendly. No Active Content. HTTPS Secured. Our listing templates contain no active content to conform with eBay’s latest active content’ rules. They are also HTTPS secured. In short they are fully up to date with all eBay’s requirements. All of our eBay Template Packages will work great on all devices and screen resolutions / sizes. When users are on their mobiles/eBay App the listing template will ‘adapt’ to allow them to view without pinching / zooming. They are also fully compatible with eBay Mobile and eBay App. We don’t sell “cheap” throw away templates! 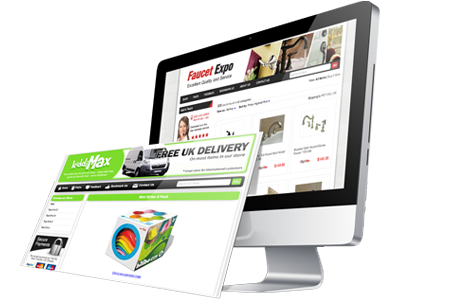 All of our eBay templates are designed and built professionally by our team to allow more sellers to benefit from a professional design/branding on ebay to enhance their sales. All of our themes come with a choice 6 colours, or you can choose your own to match your branding. We include some personalisation in the price of all of our themes to make them your own. We can also offer any further customisation if needed. With no software needed you are free to use your templates as long as you want, as much as you want with no ongoing costs. There is no annual charge for hosting or support and our prices even include VAT…. so no nasty surprises to cut into your profits. Ready to boost your eBay sales with a professional listing design? Create your perfect branding with different styles and colours to choose from as well as personalisation options available.